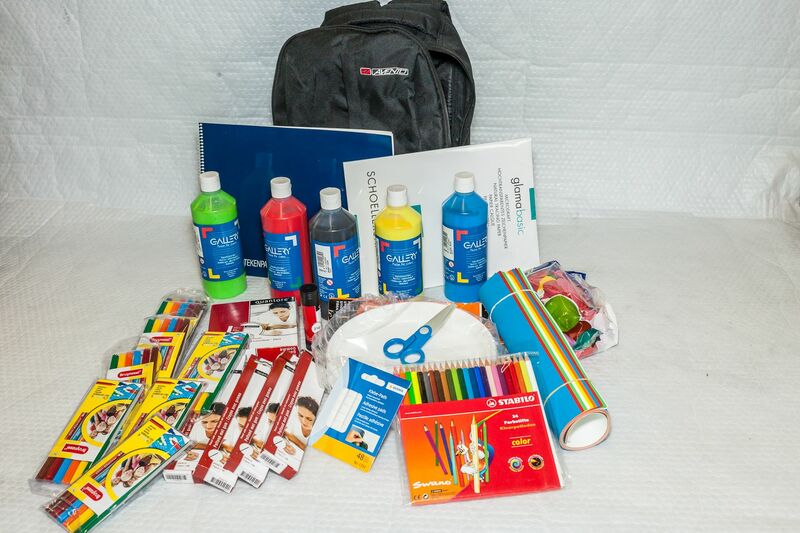 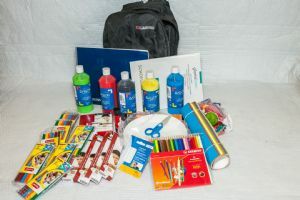 Backpack containing a wide selection of art and craft materials (crayons, paint, paper, card and glue) for up to twenty children. 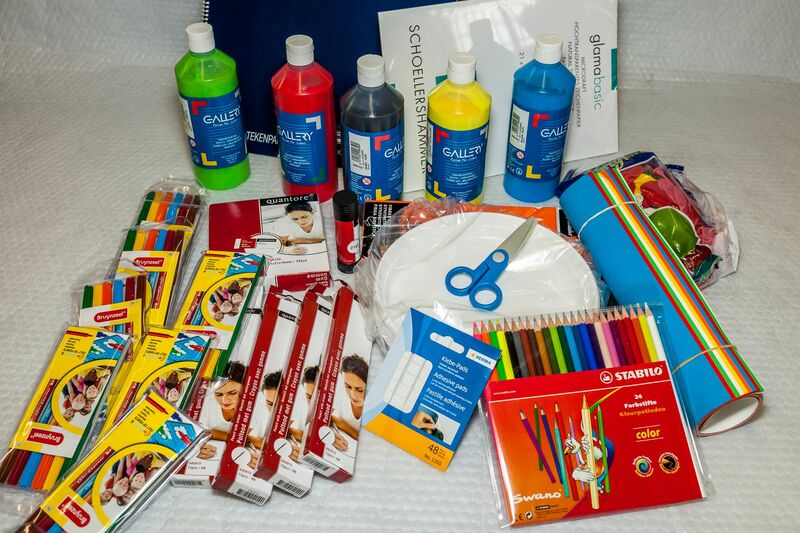 Used in programmes where children can be encouraged to produce health messages themselves. 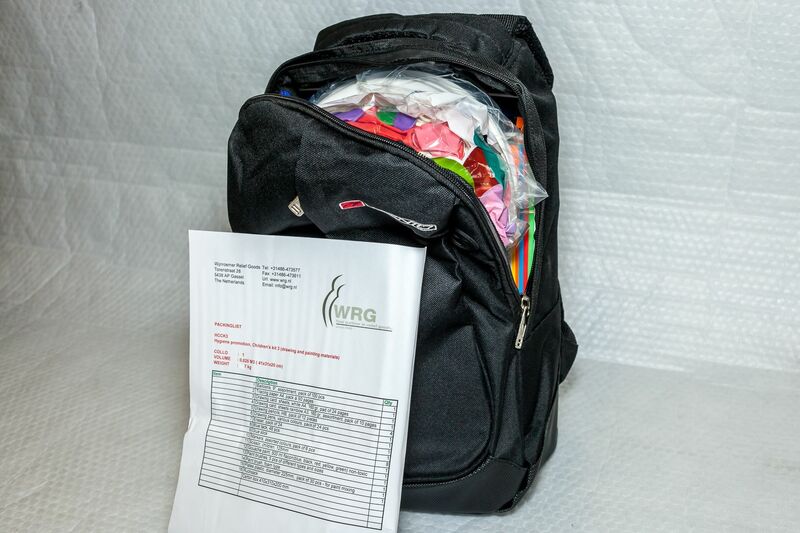 The kit comprises of items that can be used to develop child-to-child materials for older and younger children.